Maniac Pengmaku by Spotcos is an unlikely combination of two unexpected genres: Pinball and RPG. 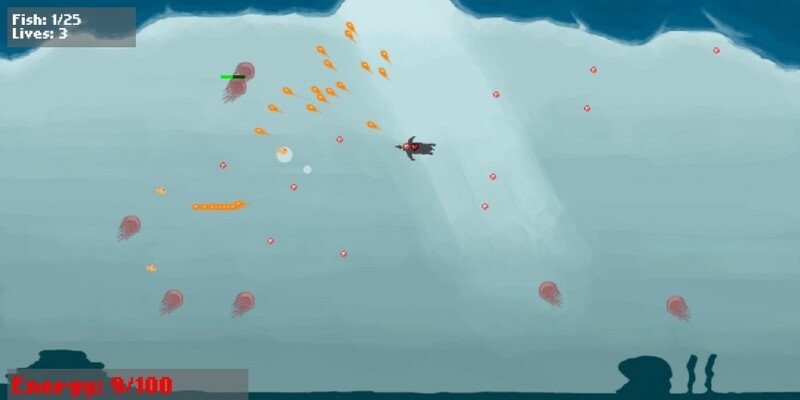 A penguin-based bullet hell (Danmaku) made in 48 hours for Ludum Dare 29 (Theme: Beneath the surface). 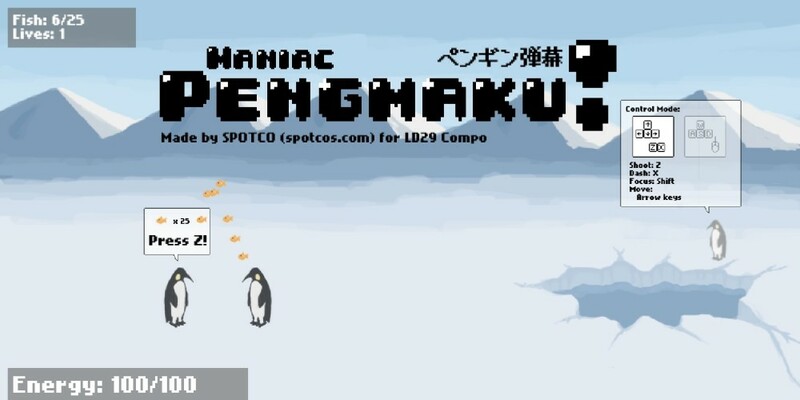 Maniac Pengmaku is a small game done in 48 hours. Despite the small development time, Maniac Pengmaku provides an addictive arcade game! Based on the game, you are a penguin who suppose to find food for your partner. Go into the water hole on the ice and dive in. 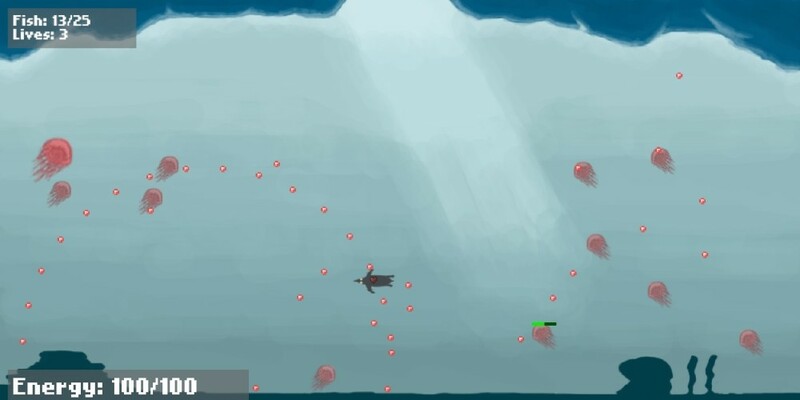 You will find yourself in the ocean full of sea creatures that shoot and can potentially kill you. Shoot those creatures before they get you. Once they are destroyed, collect the little yellow fish as a reward. You can go up anytime you want and give the freshly caught fish to your partner. Meet the fish requirement and you will be rewarded with something (play to find out for yourselves!). A new requirement will open up and you have to go down the hole and collect more fish. This time the enemy will be more varied and difficult! Overall, Maniac Pengmaku is addictive. The arcade shooting action is superb. The only thing that I would complain is that, at times, it can be quite difficult to avoid getting by the bullets due to the quick movement of the penguin.